Buckingham Tales: Gen. Robert E. Lee | slate river ramblings . . . .
One Slate River Ramblings reader pointed out some flaws in this Buckingham Tale. 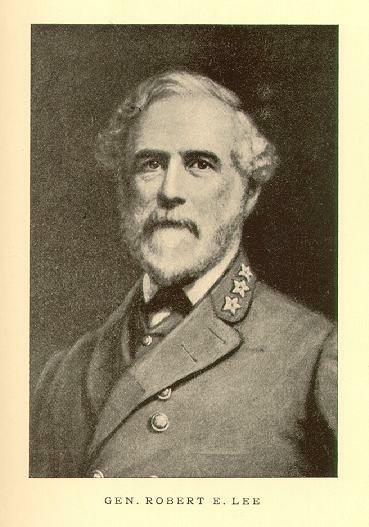 Despite the story’s charm, General Lee did not go to Richmond by way of New Canton in order to “catch the boat.” He rode his horse all the way to Richmond from Appomattox/Buckingham, spending the night in the yard of his brother in Powhatan County. Furthermore, the canal at New Canton had been severely damaged the previous March during General Sheridan’s raid, making catching a boat difficult if not impossible. Oral histories are often laced with exaggeration or wishful thinking or blended tales. It is still possible that Dorcus Allen fed the General on his way through Buckingham to Powhatan County. Can anyone provide the specifics of the General’s route? Could he have ridden by the old Atkinson place, about two miles southeast of Gold Hill? Coming soon: General Lee stops at William P. Sheppard’s home. My great-aunt was Mrs. Dolly Hooper Culbreth of Dilwyn–later Charlottesville. She told the story of Lee coming through Buckingham after the surrender. He passed the home of her grandfather, Tandy Holman (b. 1808) of “Oakland.” This was in the time period when her mother still lived at home and recalled these events. Her mother was Willie Ann Holman Hooper (1843-1918), a graduate of the Buckingham Female Institute. Lee surrendered and approached their plantation by the time they were eating supper. When they went to the door, they invited Lee to stay for supper, however, he declined and merely asked for a glass of cream. These events took place on their plantation which was on the land recently owned by Mrs. Connie Jones Morgan, a second cousin of my father’s. Her residence was on Route 24 about two miles south of U. S. Route 60. This was the route of his return from Appomattox. Perhaps Gen. Lee only accepted a glass of cream from the Holmans because he was full with Dorcas Allen’s good eats! The doll story is charming. Perhaps the mysterious soldier had a knapsack full! Rose Cottage | slate river ramblings . . . .